If space is limited, you'll need to find a small crib to maximize the small amount of available space. A lot of manufacturers build space saving cribs called mini cribs. Mini cribs have many of the same options of a standard crib, yet are designed for apartment living or other small and tight spaces. 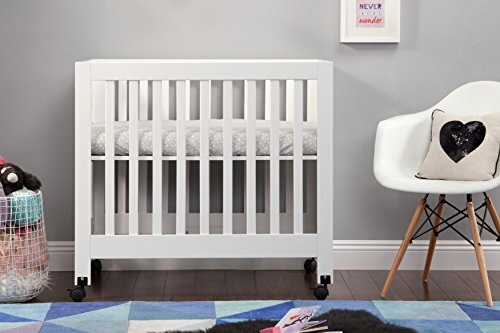 Whether a mini crib is right for you, or you decide on something different, after reading this article, you'll be armed with the knowledge you need to find the right crib for your new bundle of joy! Selecting a crib for your newborn baby is a big decision, and one you shouldn't take lightly. It can be especially difficult when you're running short on space. Fortunately, you're not alone and many manufacturers have specifically designed small cribs to fit into small spaces to meet the demand. These small cribs are excellent for apartments or other small rooms. This guide will help you buy a new crib . . . whether it's a mini or a standard sized crib. We'll also cover things such as crib safety and crib necessities to help keep your new baby happy and healthy. Finally, we'll show you 3 of our top mini crib picks to help get your shopping started. A mini crib is simply a smaller version of a standard sized crib. They're designed to fit into small spaces, such as a small nursery or apartment. 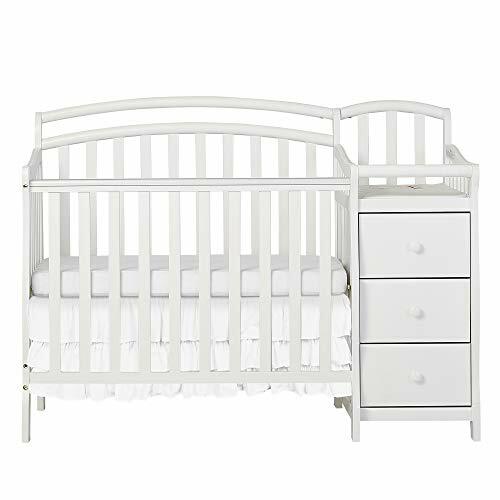 They're also a great choice for parents of twins, as you can use 2 mini cribs vs 2 full sized cribs to save space. Manufacturers recognized the consumer need for small space cribs, and today mini cribs flood the market. Many offer the same features and safety precautions as the larger, standard sized version. However, it should be noted that your baby, in many cases, will out grow a mini crib faster than a standard crib. As a general rule, a mini crib will work until your baby is 18 to 24 months old. However, purchasing a mini crib that converts into a toddler bed is a great way to modify the crib and allow it to meet your child's growth. If space is an issue, a mini crib is an excellent choice since they are a small crib that can fit into a small space. With so many choices on the market, it's easy to find yourself overwhelmed. To help you thru the process, we've put together a few pointers so you can find the perfect small crib for you. Let's face it, having a baby is expensive, and you may need to look for areas to save money. Mini cribs tend to be less expensive than a standard sized crib, but that doesn't mean that they're "cheaply made" and as long as your crib meets the U.S. Safety Standards it should be fine. The more features your crib has, the more it's going to cost. If you want the crib to convert into a bed as your baby grows, it'll likely be more expensive than a standard mini crib. This is also true with built-in changing tables and other features. Before buying a crib be sure to take exact measurements of the area you'll be positioning your crib. Mini cribs come in many different sizes, so it's important that you know how much space you have to work with. When you're purchasing a small crib for a small room, every inch matters! If you do buy a crib that doesn't fit your space, be sure to return it and find another. Never, ever attempt to modify the crib! How you plan to use your crib determines the importance of it's weight. 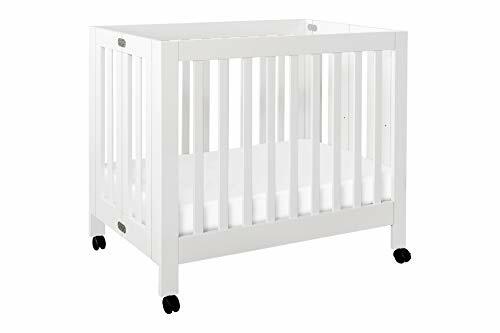 If you'll be moving your crib or folding it up to store when it's not in use, you may want to consider buying a lighter crib, or even one on wheels. If the crib will be staying in place all of the time, how much it weights shouldn't really matter. 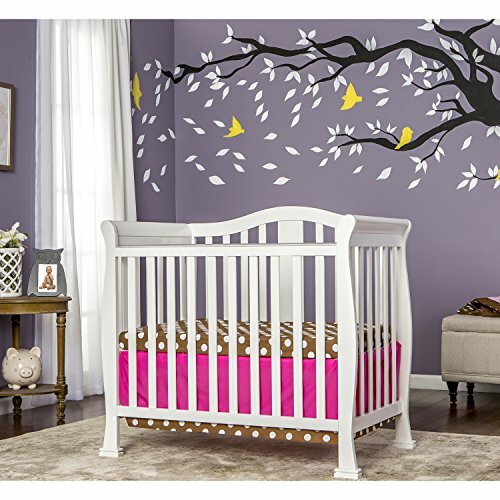 Wood cribs are generally painted and come in nearly any color. 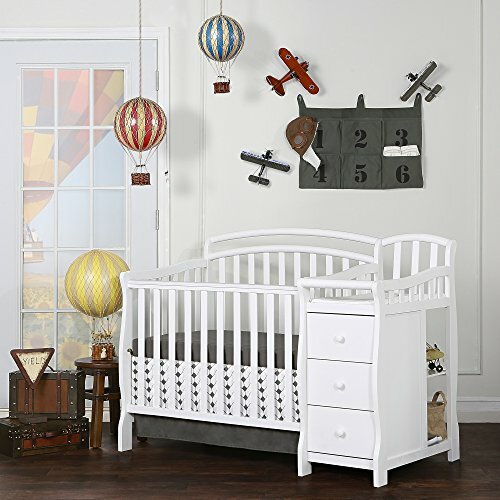 A popular trend is to select a neutral crib color and build the room color and theme around the crib. Colors such as white or gray will fit into nearly any room décor. If you can find a design feature you like in a standard sized crib, there's a good chance it's available in a mini crib too. Whether you're looking for a crib with storage that has a built-in changing table, wheels for portability, or even a convertable crib that changes into a bed as your child grows, mini cribs have many features to choose between. The popularity of small cribs has led manufacturers to design them with many of the same options of a standard sized crib. However, keep in mind that the crib will likely be more expensive as you load on the special design features. Do you want your mini crib to convert into a toddler bed? Some will even convert into a twin bed! If this is something you're looking for, expect to pay a little more. But the added expense will save you money in the long run since you won't need to purchase a new bed as your baby grows. If you do decide to purchase a convertible crib, check to see if the conversion kit is included. If it isn't, we recommend picking one up when you buy the crib so you'll have it on hand when it's time to convert the crib into a toddler bed (also, to prevent an unfortunate situation if the crib is discontinued and the conversion kit is no longer available). Regardless of what size crib you buy, there are things you'll need to purchase that won't be included. Below is a list of necessities you'll need. A smaller crib means a smaller mattress. When you buy your crib, check to see if the mattress is included. If it isn't, you'll need to purchase a mattress designed for a mini crib. The mattress should always fit snugly within the crib, and there should never be any gaps between the mattress and the crib. Experts recommend that babies sleep on a firm mattress. Your baby is going to spend a lot of time (up to 16 hours) in his/her crib, so it's important that you have a good mattress. Expect to spend between $90 and $200. Foam: A foam mattress is generally the least expensive choice. They also tend to weigh less, which makes them easier to manuever when changing sheets. Inner Spring: Inner spring mattresses typically have between 80 to 280 spring coils within the mattress. When selecting an inner spring mattress, check the count and position of the coils. The higher the coil count, and the closer the coils are to each other results in a firmer mattress. 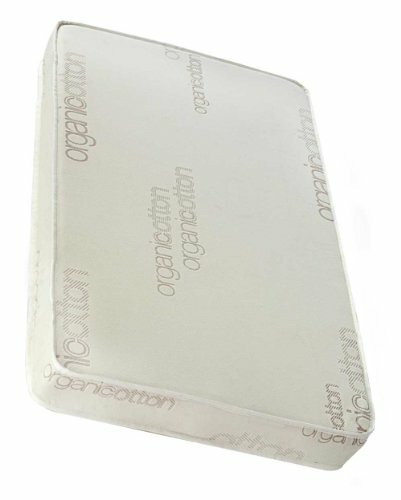 Organic: These mattresses are made from organic cotton, which is grown without synthetic pesticides, GMO's or fertilizers. An organic mattress is an excellent choice if you're worried about off-gassing, which is a common problem with foam mattresses. Your crib is designed to be a safe place for your baby to sleep, and although plenty of cute stuffed animals, pillows and blankets may be tempting, they should never be in the crib with your baby. Keeping your crib as minimal as possible will significantly reduce the risk of suffication. All of the other cute baby items can be used with supervision outside the crib. The only items that should be used inside the crib are a crib sheet and a mattress protector pad. 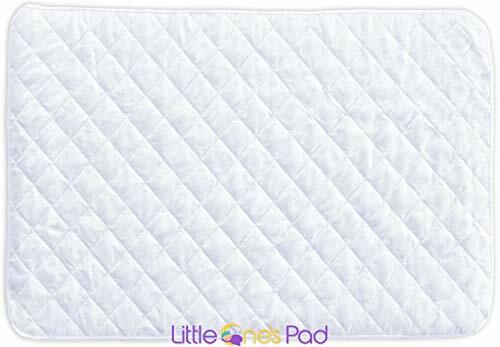 Crib sheets with fitted corners help keep the sheet securely in place to the mattress. The sheet should fit tightly without any loose spots. Always buy sheets that are designed specifically for a mini crib. Never try to modify a larger sheet down to size. 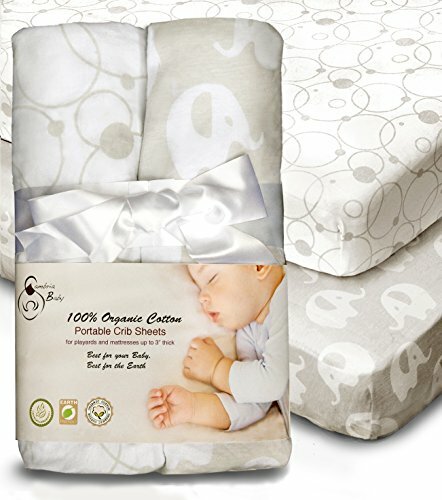 We recommend purchasing at least 3 sets of crib sheets since they should be washed every day. A mattress protector pad serves two important roles. 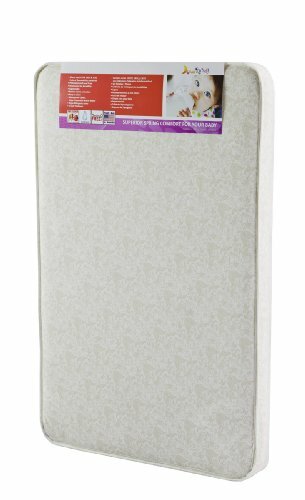 First, it'll protect your mattress; and second, it'll help your baby be as clean and sanitary as possible. There's plenty of choices available, and as long as the protector pad fits the mattress tightly and is washable, it should work fine. We recommend purchasing 2, this way, you'll always have a back up. Waterproof mattress protectors are especially nice. The safety of your baby should always be the most important consideration when purchasing a crib. 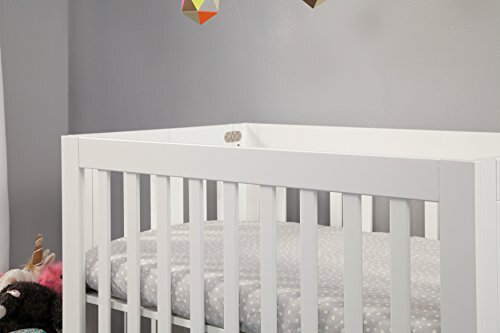 Check the crib for sharp edges, bumps or other protruding objects that can be a safety hazard. Here's a list of a few things to keep in mind when purchasing and/or setting up your crib. Remember, safety is always your number one goal. 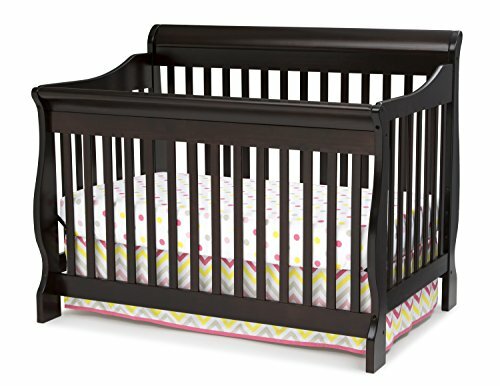 Drop side cribs are NOT safe and are no longer available to purchase. This safety standard changed in 2011. We recommend not using a crib that was made before 2012. Crib slots should never be more than 2-3/8" (about the width of a soda can) apart to prevent your baby from getting his/her head caught. 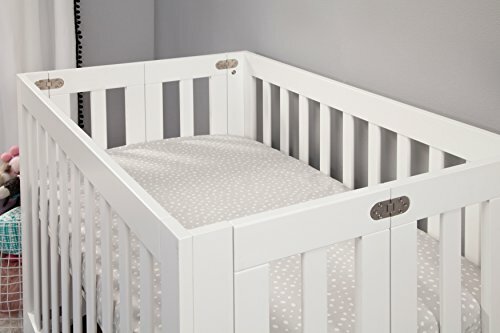 The top of the crib's corner posts should not have any decorative knobs or other elements. These can snag your baby's clothing and create a dangerous situation. Always (and frequently) check for broken and loose screws, as well as other fittings to the crib. This is especially critical if the crib has been reassembled. Complete and return your crib's product registration card. Doing so will ensure that you'll be notified of any recalls and other important information from the manufacturer. The mattress should fit snug. There shouldn't be more than 1" (or 2 fingers) of space between the mattress and the sides of the crib. Don't forget to double check that the crib meets all of the safety requirements, and that it's JPMA approved. Below you'll find our top 3 choices for mini cribs. Whether you're in need of a portable crib to take to the grandparents, or you're looking for a small baby crib to fit into a small space, we think these cribs are worth taking a look. With it's sleek, modern design, the Babyletto Origami Mini Crib is one of our favorite small cribs. It's made with sustainable New Zealand Pine wood and weighs in just under 50 pounds. This foldable baby crib is fully collapsible for storage or transportation. It's an excellent choice for a home that's tight on space, parents of twins, or to use as a crib at the grandparents house. The locking wheels allow you to easily roll the crib into different rooms or spaces. If you prefer, you can even use the crib without the wheels. Babyletto manufacturers their own line of sheets and mattresses to ensure they fit like a glove. A 1-inch mattress pad is included, but many new parents prefer to purchase an additional thicker mattress. 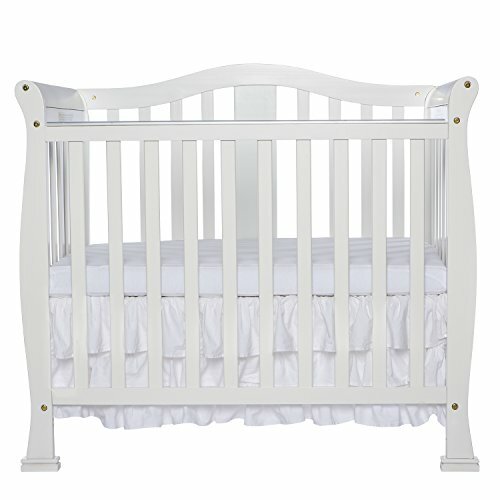 The crib is available in a variety of colors including black, washed natural, white, grey, lagoon, and petal pink. With solid mattress support, there are 2 adjustable mattress levels. The Babyletto Origami Mini Crib can be used until your child begins to climb or is 35-inches tall. 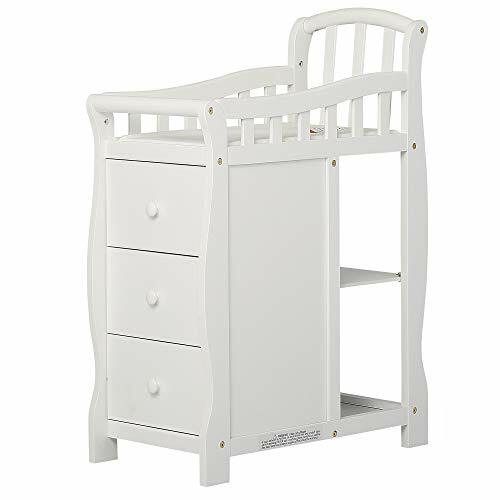 The elegant Dream On Me Addison crib is not only capable of fitting into tight places, but it's also designed to grow right along with your child. 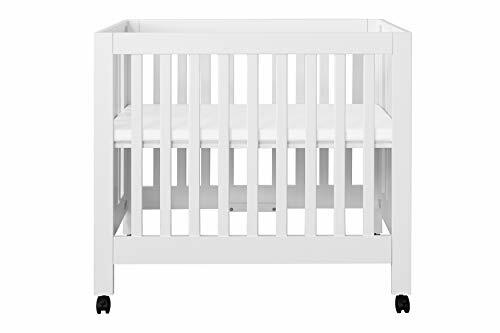 With 3 mattress positions, and a variety of different finishes, including; French White, Grey, Cherry, Espresso, Black, Natural, White, this crib doesn't disappoint. Made from New Zealand pine wood, it weighs just 34-pounds, and meets all of the applicable ASTM and CPSC Standards. 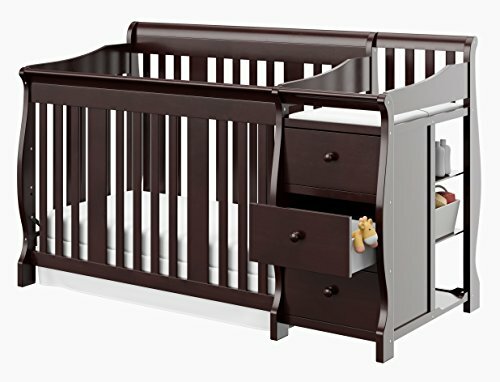 As your child grows, you'll be able to convert the crib into a day bed and then a twin bed using the optional coversion kits. Dream On Me makes a 3-inch mattress to fit this crib with a waterproof cover. 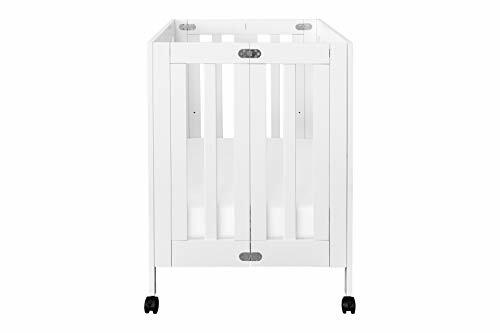 The Dream On Me Casco crib is not only an excellent space saving crib, but it'll also convert into a toddler bed and has a detachable changing station! 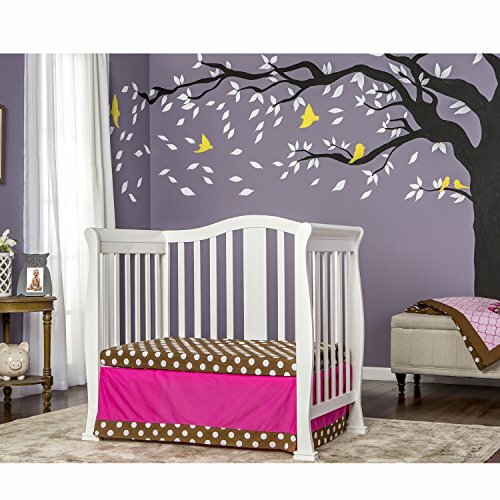 If you're tight on space, but want your crib to grow with your child, this is an excellent choice. This baby crib with drawers weighs-in at just under 65-pounds, and is made of solid pine wood. There are 5 finishes to choose between, including: White, black, natural, expresso, and cherry. Often called a lifetime crib, it has 3 mattress positions. 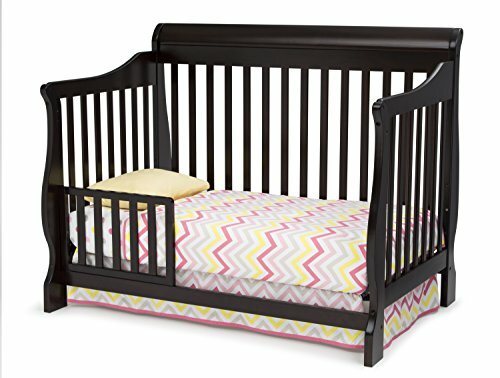 As your child grows, the crib will convert into a toddler, day and then a twin bed. A toddler guard rail will need to be purchased separately, as well as a bed frame for the twin bed conversion. The changing station is detachable and can be used with or without the crib, although you will need to purchase a conversion kit. A security strap and 1-inch changing pad are included, and the 3 roomy drawers offer plenty of space for your baby's supplies.